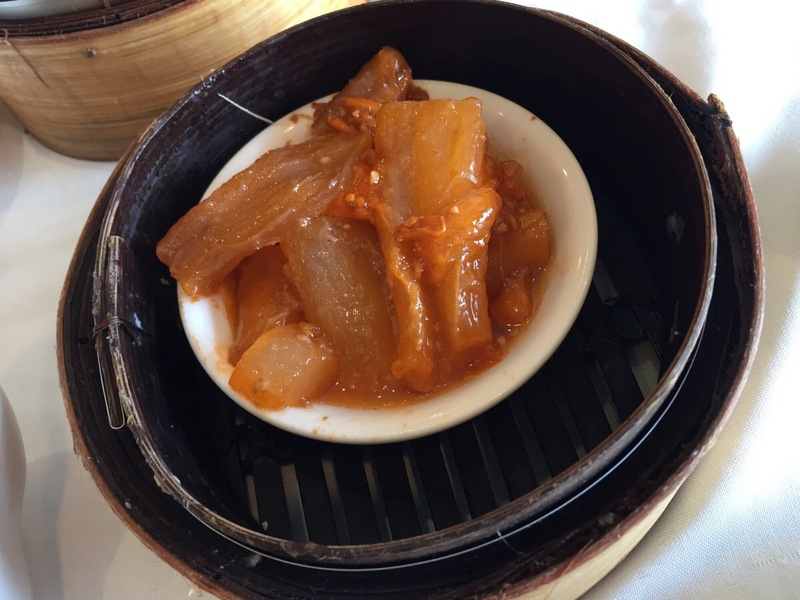 There are a couple things that attract the Dim-Sum goers to South Ocean Seafood – the price and their old school style of serving Dim Sum dishes on carts. With most of their dishes priced at $2.75, you can get away with paying 30 bucks for 10 dishes which could easily feed 3- 4 people. But don’t expect top quality on the food. When Dim Sum carts have almost extincted in Richmond, it is somewhat sentimental to see them running around here. 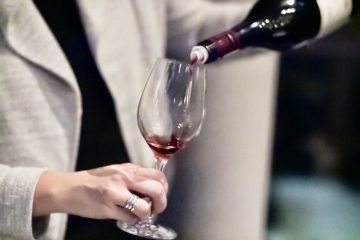 Although it is a very different dining experience with the carts and it could be fun for the first time, you don’t always get the freshly cooked food since all the dishes are cooked in batches and not per order. The place itself could use some updates especially that dreadful dreadful carpet, and all the tacky paintings and artifacts on the walls. However, the table cloth and dinnerware were clean, which was a big plus for Mom. Beef tendon was nice and tender, but the portion was a very small. And we were hungry! It took us less than minutes to devour the whole thing. 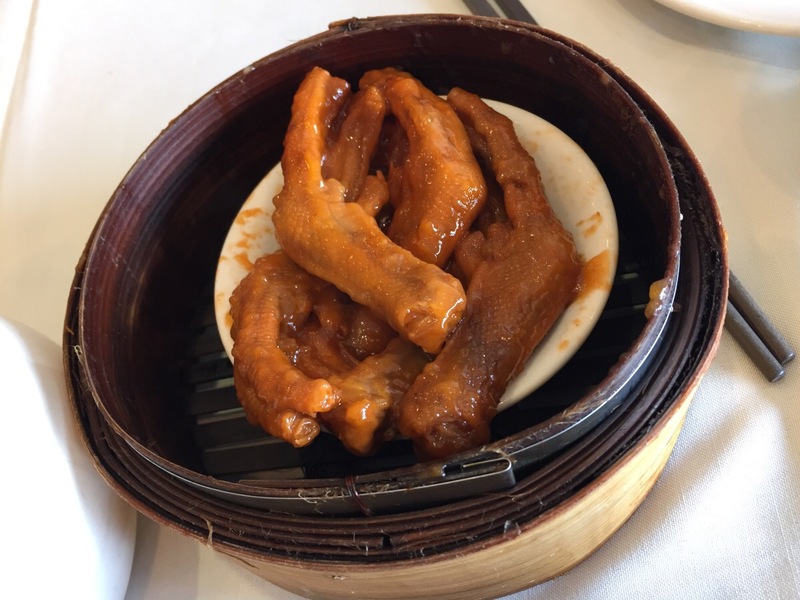 I grabbed some Duck Feet as this Dim Sum dish is rarely sold at such a cheap price. But they were terrible – cold, chewy, and kind of gamy due to lack of seasoning. 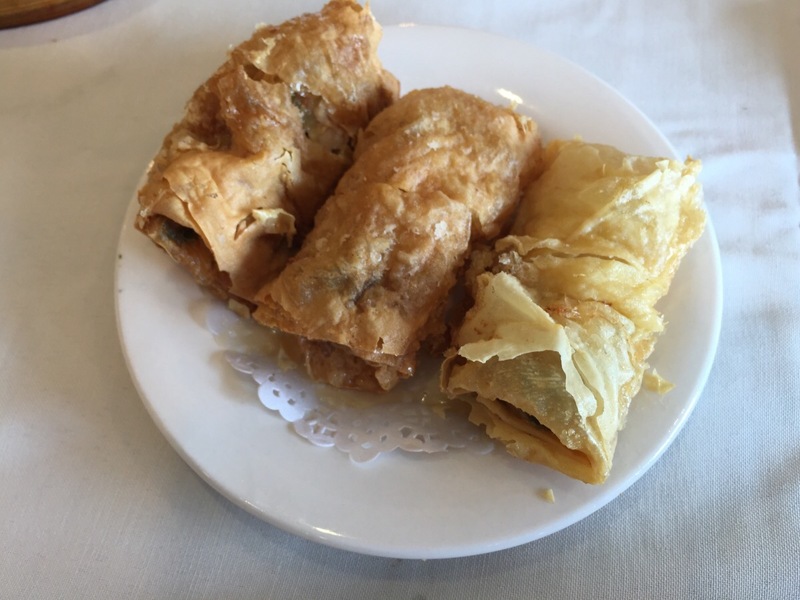 Bean Curd Roll with Shrimp is one of my favourite Dim Sum dishes, but the portion here was pretty small, and the rolls were less crunchy from sitting on the cart too long. 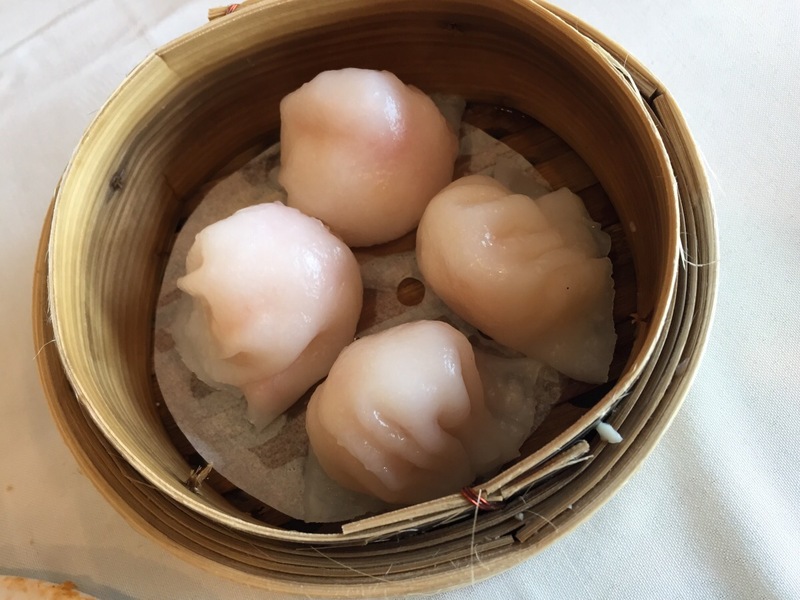 And I was right again on my theory – To judge if it is a good Dim Sum restaurant, you just need to taste their Shrimp Dumpling (Har Gau). 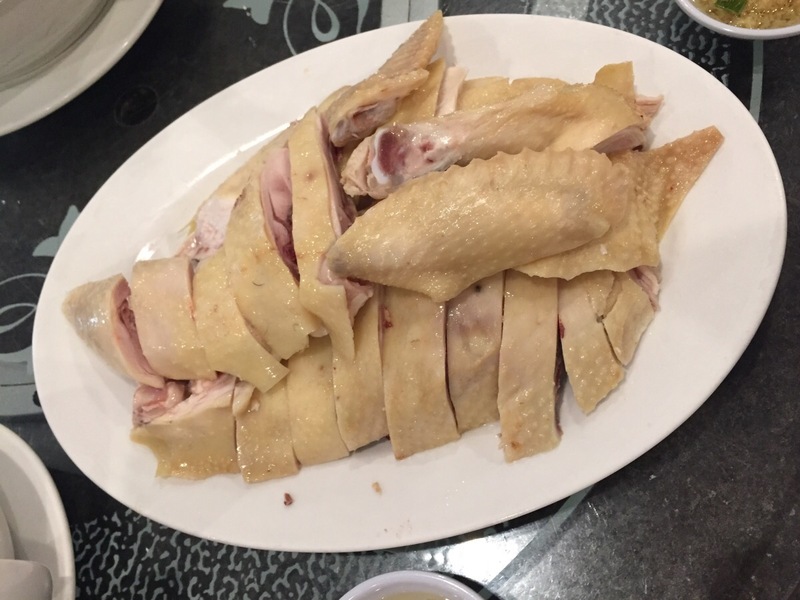 Here the dumpling skin was thick and doughy, although not the worst Har Gau I ever had, I was pretty put off by it. Mom spotted one of the Dim Sum cart ladies being her friend from some senior activity group. The lady was over 70 years old but still worked 2 morning shifts on weekends. She recommended one of the specials, BBQ Duck on Lai Noodle Soup, which cost only $4.50. 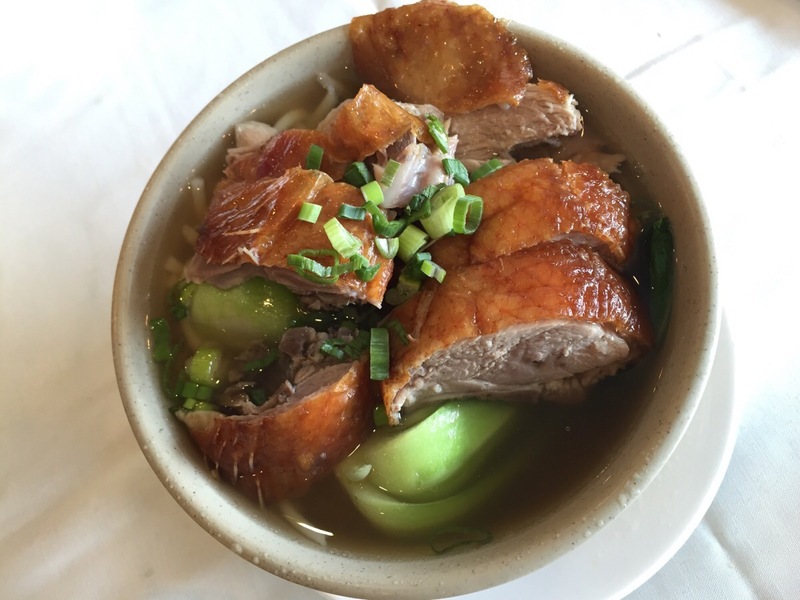 The duck was meaty and tasty, but the broth was a little bland. 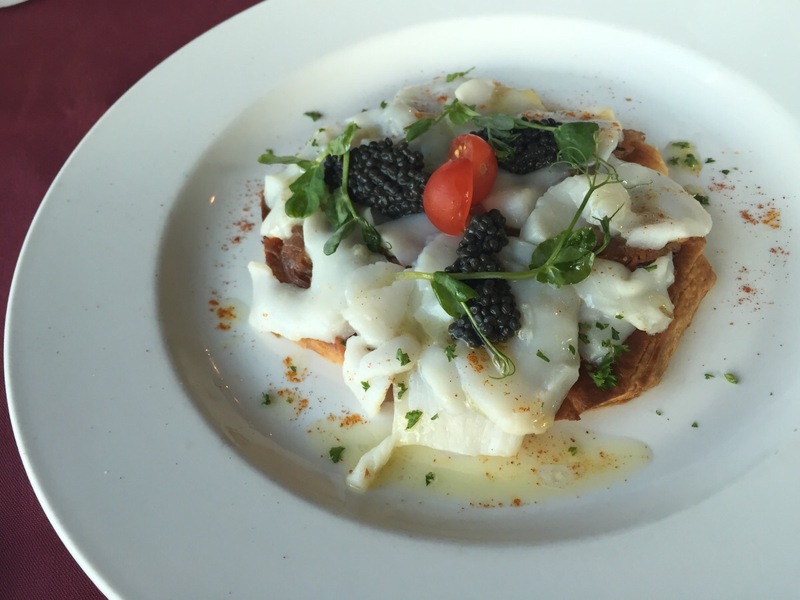 Nevertheless it was the best dish we had that day. Yes, their price is cheap. For 5 dishes we only paid $20.25. But would I come back here? Probably not… I rather pay 5 more bucks and get much better food at Imperial Court Chinese Restaurant.